(TibetanReview.net, Mar17, 2018) – The ‘Thank You India’ event, meant to mark the beginning of the 60th year of the Tibetan people’s arrival in exile along with the Dalai Lama, once touted to be held in the Thyagaraja Sports Complex in New Delhi, will now be a relatively tame affair and held on the courtyard of the Tsuglakhang at Dharamshala on Mar 31. This was the day in 1959 when Tibet’s then temporal and spiritual leader, the Dalai Lama, crossed into India. 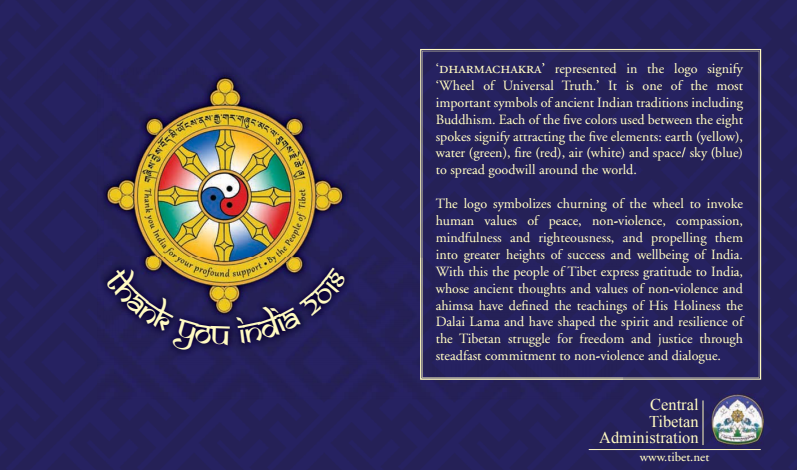 The central Tibetan Administration (CTA) said on its Tibet.net website Mar 16 that the Dalai Lama will attend the event, which will celebrate Tibetan culture and spirit that thrives on the Indian soil. The CTA decided to hold the event on the Tsuglakhang Courtyard after it failed to get permission to host the event in the Dharamshala international cricket stadium or even on the Police Grounds and a synthetic athletics track, reported tribuneindia.com Mar 16. The report cited sources as saying that following an advisory from India’s Ministry of Foreign Affairs, requesting all dignitaries to stay away from the event in Delhi, Himachal Pradesh Cricket Association (HPCA) and government organisations were wary of lending space for the event or in participating in it. State BJP leaders also stayed away from the Uprising Day function organised by the CTA on Mar 10, the report noted. The report cited HPCA president and BJP MP from Hamirpur, Mr Anurag Thakur, as saying a request was received from the CTA for organising the event at the international cricket stadium. “We have never given the cricket ground for organising such events. The Board of Directors were also against it,” he was quoted as saying. Meanwhile, the CTA has also announced Mar 16 that the special event to be held on Mar 17 at the Tsuglagkhang to commemorate this day in 1959 when the Dalai Lama left Lhasa for his journey of escape to India would be postponed. The decision was stated to have been taken due to changes in timing of the Dalai Lama’s departure to Jammu to address the first convocation of the Central University of Jammu. It said the exiled spiritual leader of Tibet was heading to Jammu in the morning of Mar 17.